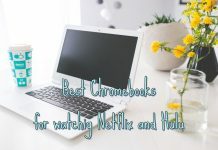 The traditional desktop computer is becoming less and less popular in front of the laptops which offer a huge advantage: they are portable and they take up a lot less space. 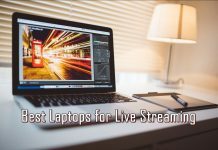 However, many people still want their laptops to be able to perform tasks that a high end computer would: gaming laptops come to mind first, as well as streaming, video editing and much, much more. For those people, Acer is preparing to launch a real beast: the Acer Predator 21X! 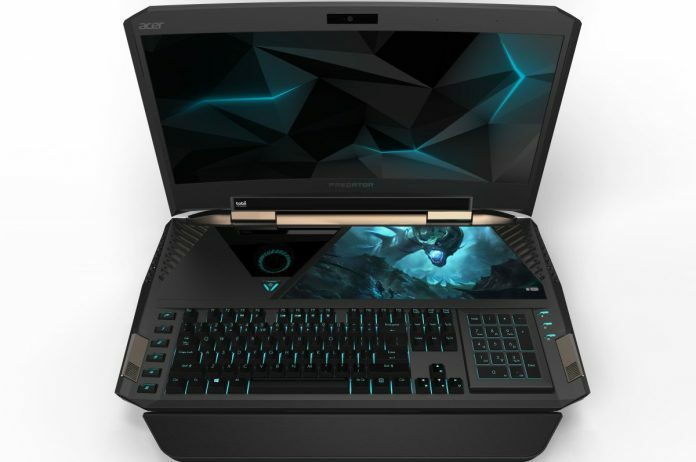 The Acer Predator 21X is a huge laptop with many incredible features: it has a curved, 21-inch screen with resolutions up to 2,560 x 1,080. It’s going to be chunky at heavy (apparently, it weights 8kg/17 lbs), but it will pack TWO GTX 1080 GPUs (these are nVidia’s latest graphic cards), five fans and a 7th generation Intel Core i7-processor. Up to 4GB of SSD storage offer you a ton of extremely fast storage space. But the futuristic – or just amazing – features don’t stop here! It also has an integrated pupil scanner that allows you to control certain game elements such as the camera simply by looking where you want to go. Aiming in video games, as well as taking cover and other moves can be made using eye movements only. Oh. My. God. The Acer Predator 21X is indeed a high end product – probably one of the most advanced ones available on market when it launches and even though it’s primarily made as a gaming laptop, you can of course use it for any type of advanced operation or purpose. 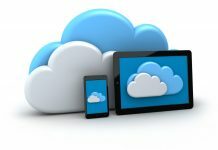 It might break the bank though as it’s expected to cost around $5,000 when it launches, but if you have the money ready, it will surely be worth investing in it. Just make sure that you’re ready to have a huge and heavy out of this world laptop on hand!